(MoneyWatch) Some buyers with fast fingers are scoring new cars at half price as part of a joint promotion of auction site eBay Motors and online seller AutoNation. AutoNation, the largest group of U.S. car dealerships, is promoting the launch of its AutoNation Direct online sales arm by offering 29 new vehicles from Ford, General Motors and Nissan at half price on e-Bay Motors. But you must be quick. Four 50-percent-off models appear at random times each day. So far they have been snapped up within minutes, including a Chevrolet Volt and a Ford F-150 pickup. The four-a-day postings will continue until this Friday, when AutoNation will cap off the promotion with a half-price 2012 Chevrolet Corvette. 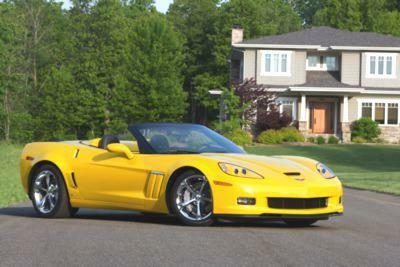 Corvette list prices start at $49,600. If you want to get in on the chase, you need to set up a free account with eBay. The quick first bidder on a car must post a $500 deposit within 24 hours and then will have three days to make full payment on the discounted vehicle. The half-price cars sold this past weekend included sporty models like the Chevrolet Camaro at $12,272 and a Ford Mustang at $15,142. To see the full list of cars already sold, check here. If you are really taken with this promotion, get all the tools. Equip your smart phone with the eBay Motors mobile app for those times you may have to be away from your computer.